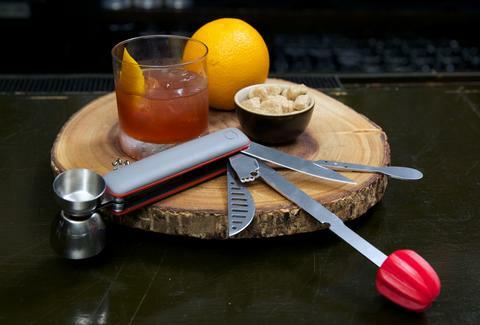 The Bar10der mixology multitool is now available on Thrillist, and we wanted to learn how to use it to craft cocktails like a pro. So we asked bartender Brenden Britz of Fig. 19 bar in Manhattan to put it to the test. The MacGyver-esque contraption is the only tool you need in your home bar, and with tips from our pro you can kiss your "signature" Screwdrivers goodbye, no bartending license necessary. It would cost you over $70 to buy all tools Bar10der includes, but it only costs $30. We're not great with fractions, but that's some sort of significant savings. 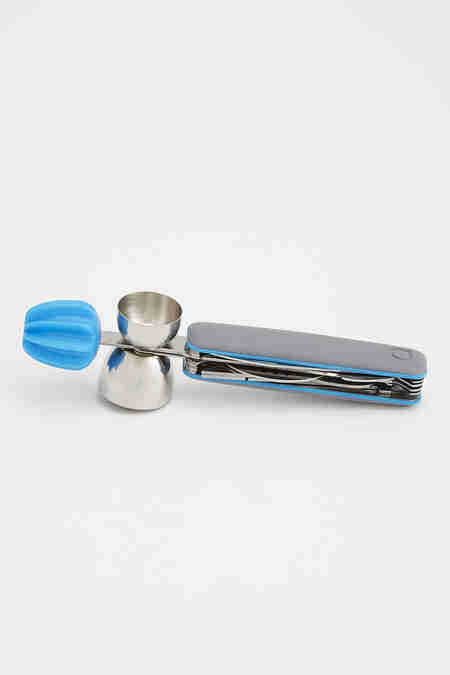 Here's what you get: a bottle opener, strainer, jigger, stirrer, 4-inch knife, channel knife for garnishes, muddler, reamer for citrus juicing, and a zester. Plus a corkscrew because sometimes the best cocktail is a glass of wine (and also because Bar9der doesn’t sound as good). 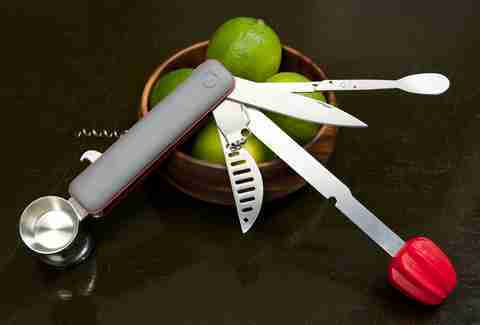 An at-home tool like this will keep you from being in the red. Goodbye, $13 drinks. Kiss the Sunday blues goodbye with a professional-grade, homemade drink. 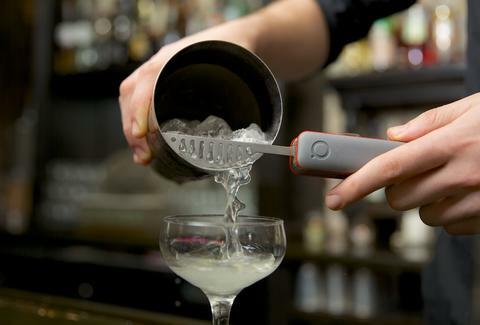 Every bar tool you'll ever need in one gadget that puts the fun in functi...eh, never mind. Josh Salles and Geoff Curley, who met while working in the liquor industry marketing biz, created Bar10der after noticing a void in the retail market for easy, at-home cocktails -- especially for rookies. When we asked Britz to give it a whirl, he said that for someone like him, the Bar10der's most valuable quality is how compact the whole thing is. It makes margs? We're sold. To prove that the Bar10der is the real deal, our barkeep friend supplied us with a basic recipe that uses the handy multitool and little else. Get this tattooed on your forearm for easy-as-pie future party prep. 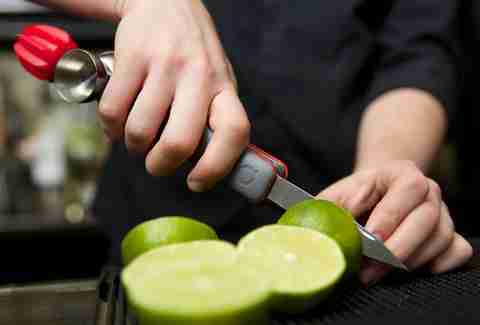 Step 1: Slice a lime in half with Bar10der's 4-inch knife. 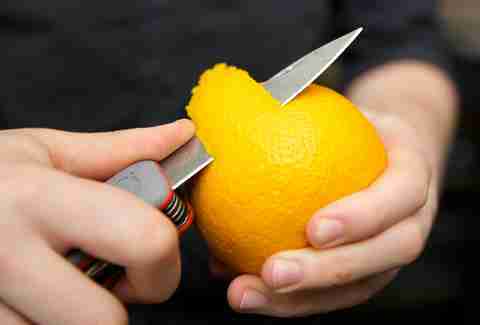 Step 2: Juice both lime halves with the reamer. Step 3: Add 1.5 oz tequila (1 large and 1 small jigger). Step 4: Add .5 oz orange liqueur (1 small jigger). Step 6: Shake it up. 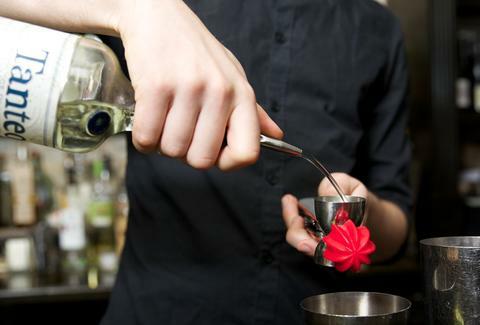 Step 7: Using Bar10der's strainer, pour your marg into a glass. 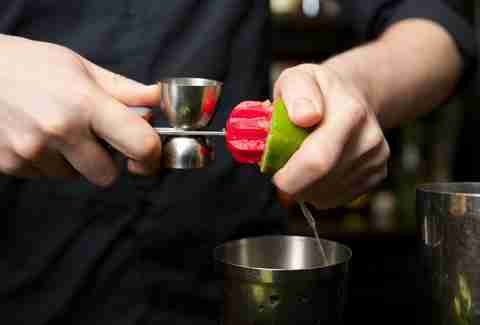 Step 8: Garnish with a lime wedge and revel in your newfound bartending wizardry. 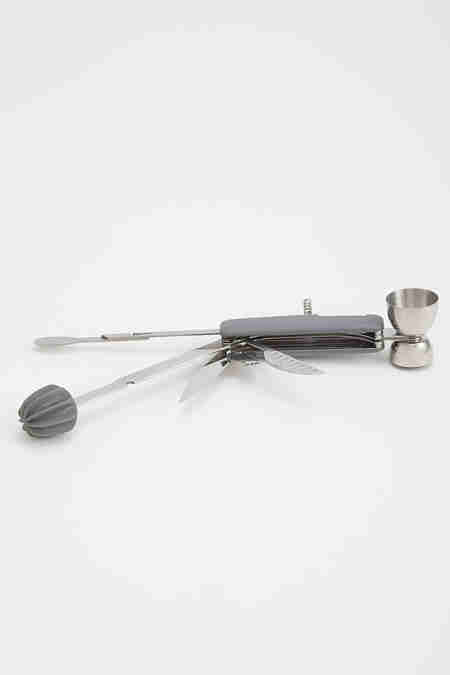 Oh, and one last but very important thing, especially for aspirational bartenders. Even if you’re not looking to go all-out and whip up a batch of Negronis, Bar10der is also super useful when flirting, says Josh. 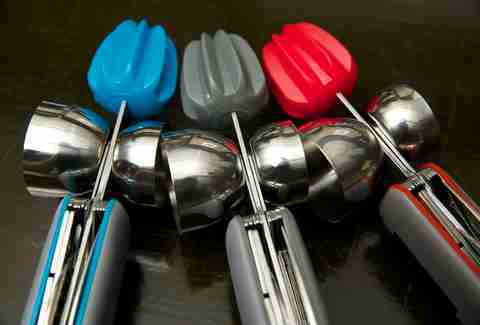 Now that your arsenal is ready, go forth and mixologize. Salud!